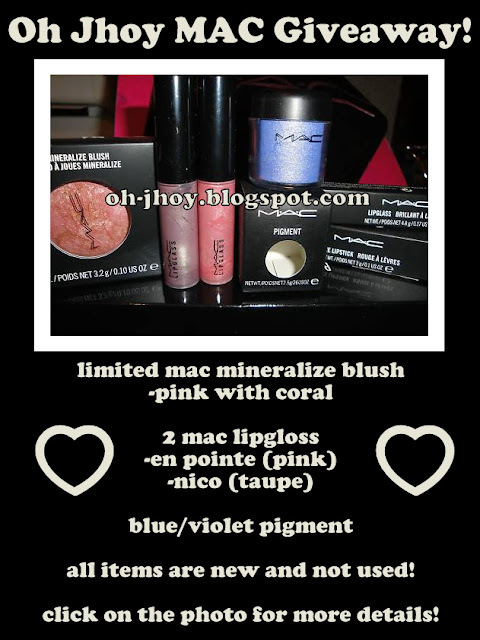 I love giveaway and I am taking part in Oh Jhoy Mac Giveaway, you can take part too. I never own a MAC product, I want to win this and I hope I win it. Giveaway end son 14 March, 2010. To take part just click on above link.